The electoral board proposed subdividing several existing precincts because the number of registered voters in those precincts is growing. One new precinct, named the Mechums River Precinct, has Western Albemarle High School as its polling place, and it moves some voters from the Brownsville and Crozet precincts. 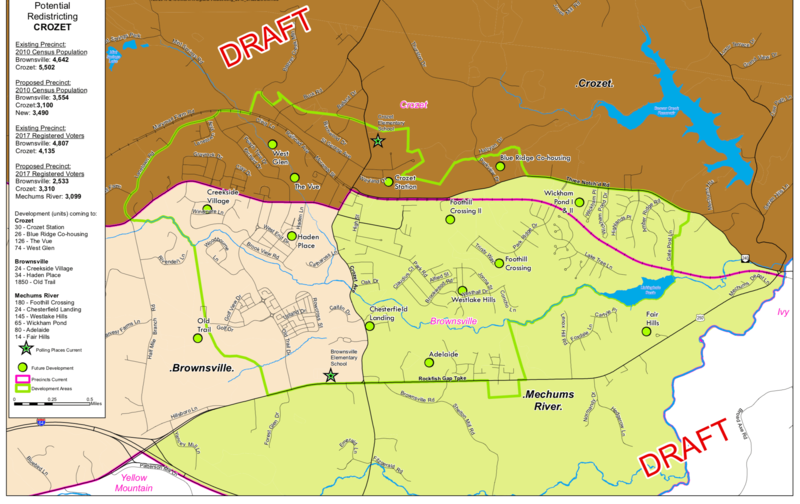 The change will help with line lengths at the Brownsville polling place, reduce congestion in the Crozet Elementary parking area and shorten line lengths at the Crozet Precinct, the electoral board recommendation said. Previous PostPrevious Why Move to Crozet?